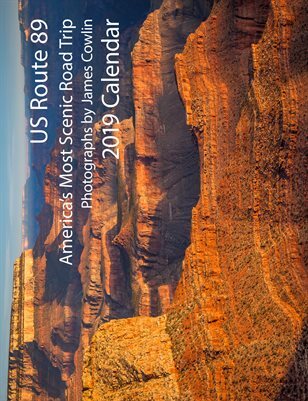 In this day of Google maps and GPS’s everywhere, it is hard to imagine how the world looked to the Spanish explorers when they arrived in the region we now call Arizona. 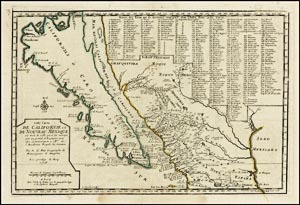 Early explorers had mistakenly believed that California was an island and the territory between the Rio Grande and Colorado Rivers was a blank on their maps. The first attempt to create permanent Spanish settlements in New Spain’s northern frontier occurred when Father Eusebio Francisco Kino followed the Santa Cruz River to its confluence with the Gila River in 1691. For twenty years until his death in 1711, Kino established mission along the Santa Cruz and mapped the region south of the Gila between the San Pedro and Colorado Rivers. Father Kino established a mission along the Santa Cruz at Guevavi with “visitas” at Sonoita, Calabazas, Tumacácori and San Xavier del Bac. He brought improvements in agriculture to the native population including the introduction of wheat to the New World. He established herds of cattle and horses that later became the basis for ranching in the region. He also continued his work as an explorer and map-maker traveling as far as the Colorado River. He established that Baja California was a peninsula and that Alta California was not an island. Following Father Kino’s death a succession of Jesuit priests continued his work in the missions. A revolt by Pima Indians in 1751 briefly interrupted activities at the missions and lead to the establishment of a military presidios at Tubac and Tucson. In 1767 the Jesuits were replaced by Franciscan missionaries, most notably Francisco Garces who arrived at San Xavier del Bac in 1768. 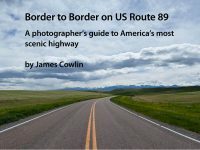 Within six months he had explored most of southwestern Arizona. Under the Franciscans, the mission churches at Tumacacori and San Xavier were built. 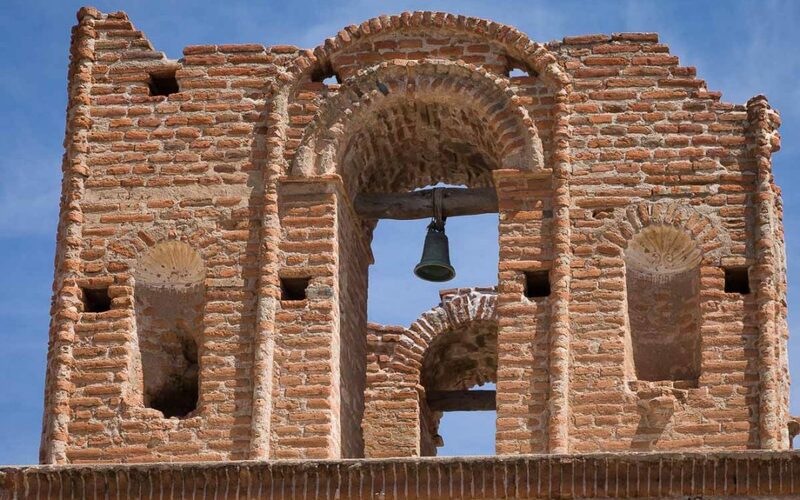 Tumacacori was never actually completed and was final abandoned in 1848. San Xavier is an active mission to this day serving the Tohono O’odham people. During his exploration, Fray Garces sighted what he believed to be the much sought after overland route to California. He related his findings to the military commander at Tubac Presidio, Caption Juan de Anza. Spain’s master plan for defense and control of the vast area they occupied was to establish a network of missions and presidios from Mexico City, across the Sonoran Desert and up the Pacific coast as far as Monterey. What was needed was an overland supply link to tie them altogether. In early 1774, Anza, Garces and 20 volunteers set out to establish the route to California. 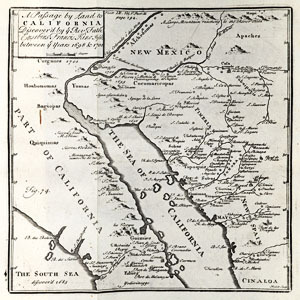 They successfully negotiated a crossing of the Colorado at Yuma which was controlled by the Quechuan Indians and continued on to Mission San Gabriel, now Los Angeles, and to Monterey. Having proven the feasibility of the overland route, Juan de Anza organized a major expedition to lead settlers and livestock to California in 1776. This band of brave people traveled 1,600 miles from Tubac to become the founders of San Francisco. Direct Spanish influence in the Southwest ended with the Gadsden Purchase in 1854 when the last of the Spanish lands were transferred to the United States. By then most of the blank areas on the maps of North America had been filled in. But the Spanish heritage lives on in our place names and in the Spanish culture and architecture so prevalent in southern Arizona. 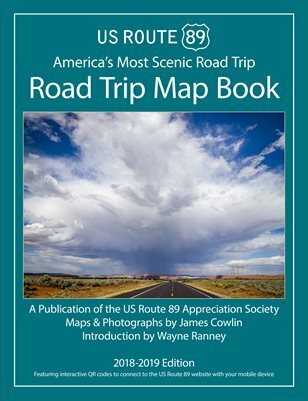 Before there were highways, before there were any kind of vehicle roads, there were pathways established over time primarily along sources of water. Two north-flowing rivers lead the Spanish into their northern frontier, the San Pedro and the Santa Cruz. It was along the Santa Cruz that they chose to establish their missions and presidios. 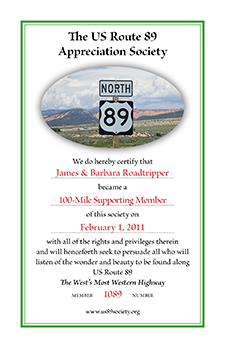 That pathway became a horse trail, then a wagon road, then a highway called US Route 89 and now an Interstate, I-19. By following that same pathway you can visit four Spanish settlements that preserve the history of New Spain in southern Arizona. It is one thing to read about that history; it quite another to stand under the dome of the mission church at Tumacacori built 150 years ago. You can almost hear the priest chanting the mass while soldiers and indigenous people knelt in the nave. Tumacácori National Historical Park is located 45 miles south of Tucson. A self-guide walking tour includes the mission church, San José de Tumacácori and the cemetery, mortuary chapel and portions of the convento area. The visitors’ center is housed in a 1937 adobe building with exhibits detailing the history of the mission. A fiesta is held each year on the first full weekend in December at which crafts and food from O’odham, Yaqui, Apache and Mexican cultures are on display. When Father Kino established Tumacácori in 1691, the nearby Piman village at Tubac became a farm and ranch for the mission. Spanish colonists settled in Tubac in the 1730s, irrigating and farming the lands along the river and raising cattle, sheep and goats. After the Tubac was destroyed in the Indian revolt of 1752, the Spanish built a presidio on the site with a garrison of fifty soldiers to protect the missions along the Santa Cruz River. Tubac Presidio State Historic Park features a museum with displays that trace the history of Tubac from prehistoric to modern times. One of the most unusual displays in the park is the Stairway to the Past, an underground exhibit of the actual remains, footings, and foundations of the 18th century Presidio. Originally exposed during a 1974 archeological excavation, the exhibit offers a fascinating glimpse into the history of Tubac. Adjacent to Tubac is the Juan Bautista de Anza National Historic Trail. A four and a half mile section of the trail connects Tubac and Tumacacori along the Santa Cruz River through a riparian habitat of cottonwoods and mesquite. Continuing north the next stop is San Xavier del Bac. A National Historic Landmark, San Xavier was founded by Father Kino in 1692. Construction of the current church began in 1783 and was completed in 1797. The church’s interior is filled with marvelous original statuary and mural paintings which have recently undergone restoration revealing their original beauty. San Xavier is a place where visitors can step back in time and experience an authentic 18th Century space. The final stop on the tour of historic New Spain is the Presidio San Agustîn del Tucson. Established in 1775 on its northern frontier, the fort was designed to house a garrison of soldiers whose job was to protect the missions from attack by hostile Apaches. Located in the middle of downtown Tucson, only fragments of the original structure remain, the last wall having been torn down in 1918 and many modern building have been constructed on top of the old Presidio site. The Spanish heritage along the Santa Cruz River is only one aspect of this regions history. The Santa Cruz Valley Heritage Alliance has been organized to recognize, preserve and promote its cultural diversity. For a fuller understanding of the region and a guide to places to visit, consult the Alliance’s interactive map of the Santa Cruz Valley.